Issued in oversized 6-panel digifile. The sadness of the vocals that permeate "Numb," the opening track of Andy Stott's LUXURY PROBLEMS, gives way to the dark chugging that grounds the track, while the more operatic vocals of "Lost and Found" find their home in a twisted funhouse of sound, even as it suddenly cuts into the gonging tones and sludgey funk of "Sleepless." Stott is all about the atmosphere, and he delivers that in spades. The folksy vocals of "Hatch The Plan" come up against a wall of the thick stuff, whereas "Expecting" starts with the grind and doesn't let up. The title track has an undeniable groove, and while it isn't as dark as the rest of the album, offers its own charms. "Up the Box" is a rhythmic workout, almost all breaks, indeed breaking with tradition, and "Leaving" end the album with a chorus of voices, A fascinating and enthralling album, through and through. This Album is much better than the first one. I love this album from the first to the last track. The vocals are outstanding as well as the beats and the dark melodies. 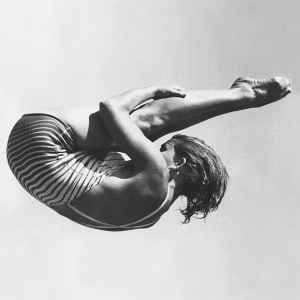 This is a satisfying journey to the dark world of Andy Stott.